This challenge comes from an ineffective, symbolic placeholder prime minister who was expecting to be replaced later this year when the EPRDF holds its congress. The former Ethiopian Prime Minister Hailermarian Desalegn said President Salva Kiir should resign and cede his place for the young generation to achieve peace and to end the suffering of South Sudanese people. Desalegn unexpectedly resigned on 15 February 2018, saying he hoped to end years of unrest and political turmoil in his country, after ruling the country for six years. 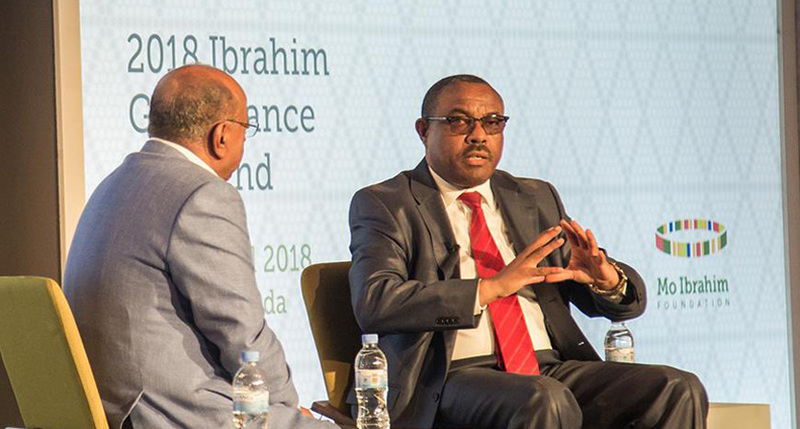 The former premier who also was the chair of the East African bloc IGAD that mediating the peace process, made his remarks at The Ibrahim Governance Weekend organized by MO Ibrahim Foundation held in Kigali Rwanda on Saturday. Speaking about the need for peace in South Sudan, he regretted the non-implementation of the IGAD-brokered peace agreement by the South Sudanese leaders. “Immediately after my resignation, I asked them “Please, would you resign because you failed to resolve the problem in South Sudan?” He said, according to a video of his remarks obtained by Sudan Tribune. Then he was asked if he had said that to President Salva Kiir, he answered: “Yes, I talked to all”. “Leaders have to come to their senses, to their mind and they should somehow leave so they give power to new young leadership that can continue to the next step,” he added. “The UN should take aggressive action,” he emphasized. 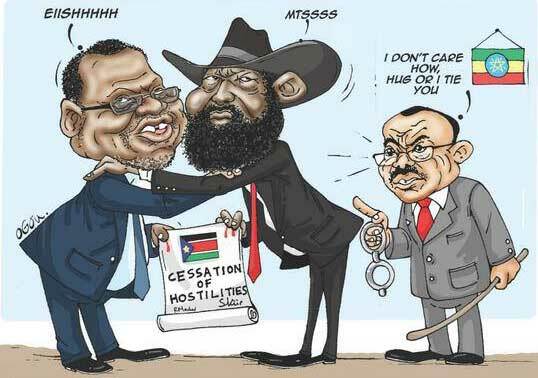 The statements reflect the mindset of IGAD leaders about the South Sudanese conflict. Ethiopia is very impacted by the ongoing conflict in South Sudan as the region Gambella, which border the troubled country is inhabited by a Nuer clan and fears that rebels who are from the same ethnic group bring their instability. Speaking about Ethiopia, the former prime minister said he resigned because his country has a problem of addressing multi-ethnic society, and there is a need for deep reform. “So I said, I have to set aside myself in order to achieve these deep reforms”. “The main problem in African politics is people stick to power. And I wanted to show that it is possible that you can leave while having power as a citizen of the country,” he stressed.